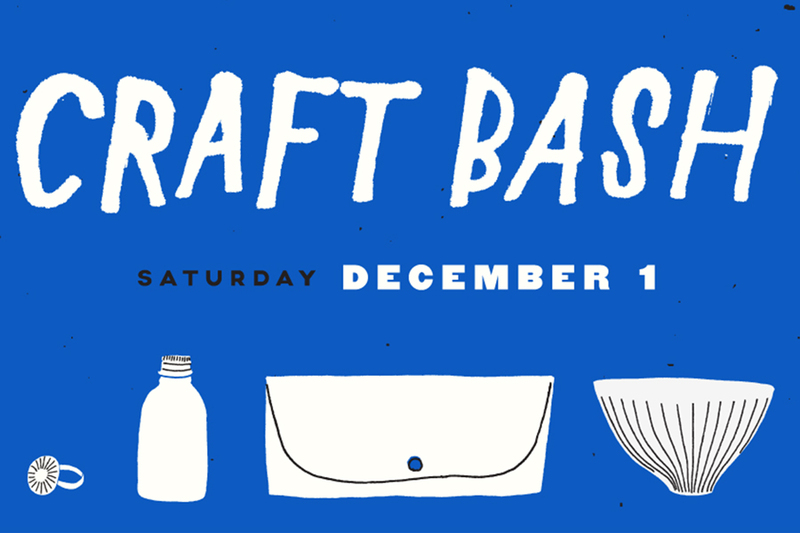 The American Craft Council and Hennepin Made will present Craft Bash, a holiday event celebrating craft, design, and the Minnesota maker community on Saturday, Dec. 1, from 11 a.m. to 6 p.m. There will also be a preview party, Decked Out, to kick off the festivities on Friday, Nov. 30 from 6:30 p.m. to 10 p.m. The events will take place at Hennepin Made and expand into Parallel café, both located at 145 Holden Street in Minneapolis. Saturday’s Craft Bash is free and features more than 70 talented Minnesota makers curated by ACC, There There Collective, and the Food Building. Craft will range from ceramics, jewelry, fashion, and home décor to apothecary, candles, and letterpress cards. Guests will also be able to sample artisanal food and beverages, encounter live glassblowing demonstrations, and partake in a number of artist-designed participatory projects and hands-on experiences – all in Hennepin Made’s innovative studio space.